Mother to Mother, On Mother's Day | Don't Give Up On Them! I am a mother and a motherless child, an aunt to 19, three of whom lost their mother last year. Until my own mother passed away, I never associated Mother’s Day with loss but the holiday raises mixed emotions of joy, sadness, gratitude, and love. 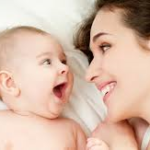 Mothering is defined by Webster as the act of “bringing up a child with care and affection,” but that definition doesn’t begin to capture the ethos of a mother: one who cares for her child, her friend’s child and the community around them. Those of us raised by loving mothers or aunts, older sisters or grandmothers know the quiet touch and backbone of steel that mothering requires. We celebrate each other’s joys, we mourn each other’s losses, we comfort those in need. Recently I read “From Mother to Mother, Having a Child with Substance Abuse Issues,” a poignant essay in which the author, Cathy Miles, conveys how her daughter’s addiction changed her personal celebration of Mother’s Day. What caught my attention was the phrase “from Mother to Mother,” the code all mothers use to signal honesty, empathy, awareness and action. Cathy is a mother with an ill child who openly shares her fears and depression, dreams lost and life changed; one who shares her story so others may not feel alone in their own child’s journey with addiction. Cathy is the mother of a daughter but she is mothering us as well. On this Mother’s Day, it’s important to remember that you are not alone. Not alone with a disabled child, an ailing parent, or an aging body. Not alone as a teenage mother, a widowed elder or a mentally ill adult. As long as your world is filled with women and men who embrace mothering, they will notice and support your needs. A few weeks ago a neighbor and the mother of four visited a homeless shelter. Through a quick email to a gaggle of friends she solicited 850 pair of new underwear without fanfare or fuss, overwhelming the shelter with her generosity and waiving off the gift, as mothers do. Linger a moment on her request. Underwear? Only a mother would think about new underwear and the importance of that gift to a homeless person, a gesture of kindness and a reminder of their value as a human being. Now, just for a minute, think about the outcome if that email went to a gaggle of men. Happy Mother’s Day to the mothers among us and to all who enjoy mothering. This entry was posted in Enhancing Life and tagged Caregiving, Cathy Miles, Family Caregiving, homeless, mother, Mother's Day, mothering, substance abuse by jsimpson. Bookmark the permalink.